Posted By:Unknown | At:3:30 PM Be the first to comment! Have you heard about the suspicious death of Kendrick Johnson from Valdosta, Ga? Well, if the answer is no, don't feel bad because you are not the only one. 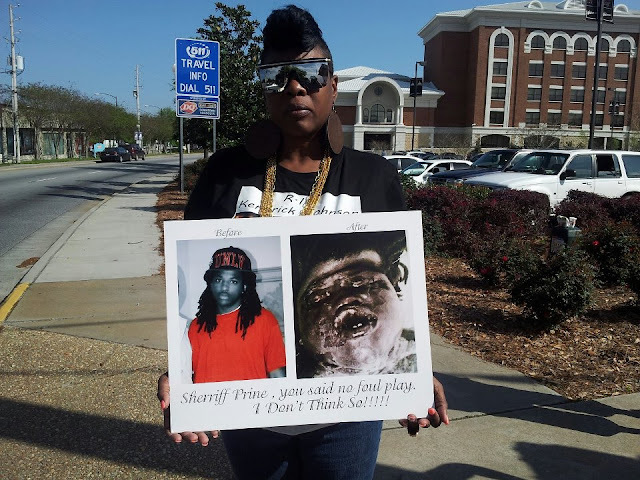 Kendrick Johnson's death is one that needs to be heard if only to give the family piece of mind as to what really happened to their son. Johnson was found dead January 11th inside the old gymnasium at Lowndes High School. Sheriff's investigators believe his death was an accident. They say he fell inside the opening of a rolled up cheerleading mat and couldn't get out. But the Johnson's don't think his death was an accident. Lowndes County Coroner Bill Watson has been in contact with the GBI regarding Kendrick’s autopsy, he said. But the Coroner hasn’t enjoyed the same level of cooperation from the sheriff’s office as the GBI, said Watson, who also stated he wasn’t contacted when Kendrick’s body was first discovered.